Midland Trailers is an industry leading manufacturer that offers over 30 years experience and unparalleled quality solutions. Their website was designed and developed a number of years ago. Although the content is still valid, the body is outdated, is not as friendly for users, and does not accurately speak to the company’s standards. 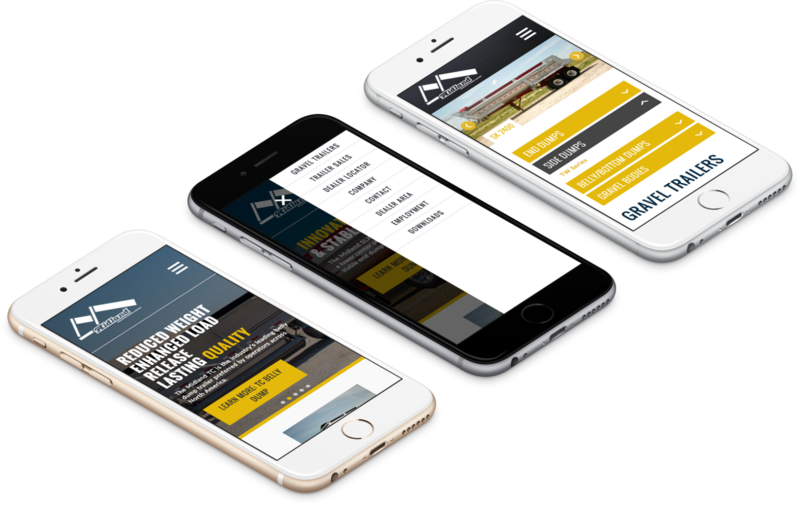 Pixels approached a partnership with Midland to create a new, relevant and fluid website that would serve its existing client base, as well as attract new business. It was developed and designed to be a visual representation of the professional, durable, quality products it displays. The team at Midland were incredible to work with and we trust that this new image will create further success for them!